Since in the stone age days, architects have always had a Unique way of designing buildings that are tall and large. Have You ever wondered about how these masterpieces were built? I took a close look at the 7 wonders of the world and discovered that they are all high-rise buildings. Lets begin with the GREAT WALL CHINA. When Was It Completely Built? 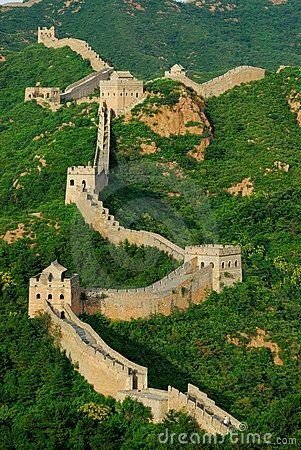 The Great Wall of China is a combination of walls built using wood, stone, metal, and clay. History says the wall was built to protect the country(China) from invasions, and also to control immigration between the nations around China. Here are some interesting facts about this great Wonder. 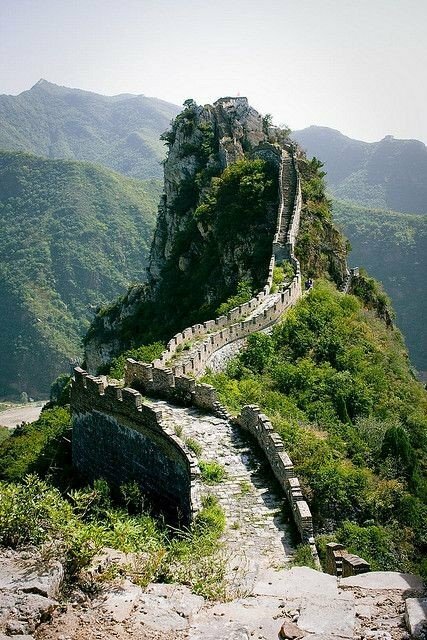 The first part of the Great Wall was built under the rule of Emperor Qin Shi Huang of the Win dynasty. They took around 20 years to complete the original wall. The wall is 13,171 miles long and was constructed by several emperors, during their time. But most of the wall was built during the rule of the Ming Dynasty. It took several empires over 2000 years to complete the wall, which involved building and rebuilding it. The stretch of the Great Wall also has natural barriers such as mountains and water bodies. Unlike popular belief, the Great Wall of China cannot be seen from the outer space. Here are some interesting views of this great Wonder. This post has received a 0.14 % upvote from @drotto thanks to: @spectacode. Congratulations! This post has been upvoted from the communal account, @minnowsupport, by rosemaree from the Minnow Support Project. It's a witness project run by aggroed, ausbitbank, teamsteem, theprophet0, someguy123, neoxian, followbtcnews, and netuoso. The goal is to help Steemit grow by supporting Minnows. Please find us at the Peace, Abundance, and Liberty Network (PALnet) Discord Channel. It's a completely public and open space to all members of the Steemit community who voluntarily choose to be there. This post has received a $15.63 % upvote from @siditech thanks to: @spectacode. The great wall of China is really a wonder to behold. The Ming dynasty was fierce during its reign. I will do a research on this . You got a 1.82% upvote from @lrd courtesy of @spectacode!